Former New York Times reporter Alex Berenson is asking partents to “Tell Your Children” about the dangers of cannabis use. Among them, the connection between cannabis and mental illness. “The connection between cannabis consumption and mental illness is tenuous at best, and the fact that we don’t know more about it is just another reason to change policy so that it can be more easily researched,” added Morgan Fox, a spokesman for the National Cannabis Industry Association, in an email to CNBC (click below for a link to the original article). The fact that Canada has legalized cannabis use means that it will be much easier for researchers to study the effects of cannabis including research into both the good and bad effects of cannabis. The claim that cannabis “causes” any kind of mental illness is a little extreme. The mental health community have long known about the genetic factors of conditions such as schizophrenia, even if they don’t know exactly how it works. But like most genetic diseases, environmental factors can “trigger” underlying genetic conditions and predispositions, increasing the risk. Further, there is no proof that mental illness is spiking due to cannabis use. 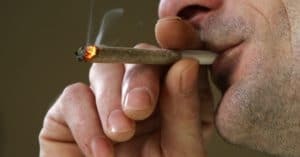 “There are tens of millions of regular cannabis consumers in the United States, and if it was truly a contributing factor to mental illness, we would be seeing widespread negative effects, and we simply are not seeing that,” he said. Berenson sees it differently. His wife, who is a forensic psychologist, told Berenson that she sees many instances where long-time users have become “psychotic and schizophrenic.” He didn’t believe her at first, he said.